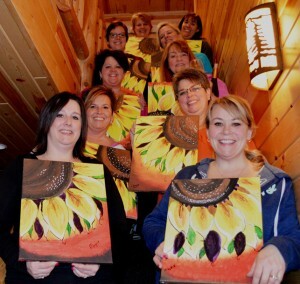 There’s nothing more fun than hanging out with your soul sisters on a girls weekend, and Wildwood Resort is the ideal place to gather with your favorite girls. Our cabins are all new and perfectly sized for any group – from two bedrooms up to six. Each has a beautiful view of Bass Lake and offers amenities like gas fireplace, cable TV and free Wi-Fi. They are cozy and comfortable, fully furnished and beautifully designed so that your stay is as wonderful as possible! Check out our Deer Hunting Widow’s Weekend Package – Just $130/person November 6-8, 2015! Any weekend makes a great getaway with your favorite girls! Wildwood is located just 8 miles from Grand Rapids, MN so it is an easy trip into town for shopping or dining, movies or bowling, catching a performance at the Reif Center or scheduling a pedicure. Don’t want to go into town? That works, too! Several massage therapists in the area are happy to offer massages in your cabin. Do you want a Stampin’ Up consultant to swing in to your scrapbooking weekend? We can help arrange that. Our local quilt shop, ABCs of Quilting, is a quilter’s heaven where you can take a break from your sewing machine to find supplies and expertise for your current (or future) projects. Maybe you would enjoy tapping into your inner artist. MacRostie Art Center offers classes like pottery, jewelry-making or painting either in their studio or at Wildwood. It would be fun to collaborate with friends or family and do a holiday baking/cookie swap weekend. Or prepare a month of freezer meals. You could go home with the goodies and leave the clean up to us! Anytime is Good for a Girls’ Weekend Getaway! Ultimately the best thing about girlfriend weekends is that time spent with the women we cherish feeds the soul and rejuvenates the spirit. So what are you waiting for? Check our availability then text, call, email or Facebook your besties today and make the time to reconnect. We are happy to help you plan your girls weekend anyway we can – just give us a call or email us. Imagine a weekend dedicated to getting years of scrapbooks caught up! Get a Massage at the resort or in town. Get Manicures/Pedicures at a local spa. Get Tickets to see a Reif Center performance. Take Art classes through MacRostie Art Center. Go X-skiing at nearby x-ski trails. 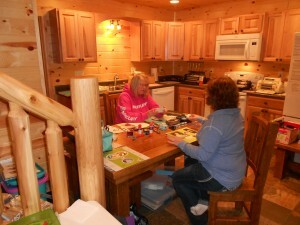 Enjoy Scrapbooking & Quilting retreats. Have a Cookie Exchange baking weekend – perfect for December! Freezer meal prep weekend – everyone goes home with dinners for the freezer! Bookclub weekend – read, rest and discuss your next book! 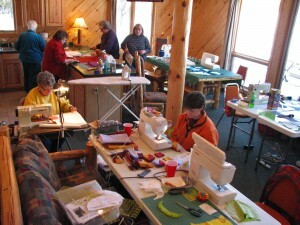 Writer’s Guild weekend – plan a workshop with fellow writers and let the ideas flow. Check out the Community Calendar on VisitGrandRapids.com for information about community events!